Welcome to Chic Wedding Planners! We LOVE weddings & we LOVE the details of each wedding, which is why we ensure that all our weddings are beautifully tailored for our clients and show off the exquisite details of the day. Our method is really simple: we facilitate the process of turning vision to reality and concept to execution, all while building a great relationship with our clients. As planners, we become an important part of your wedding and your life. We believe it all starts with a connection and we become your stand-in best friend during the planning process. We are there to guide you through each step and answer any and all questions regarding your big day. It's no surprise that we remain in touch and even become close friends with most of our couples. 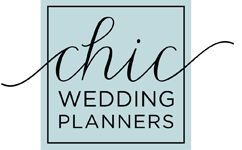 Chic Wedding Planners has quickly become one of Ottawa's leading experts in wedding planning, styling & coordination. We aim to create beautiful memories that bring our clients' love stories to life. Whether you are looking to have your wedding exude glamour & luxury or style & sophistication, we will tap into your vision and help you create a once in a lifetime event. Have a look through our website, meet the Chic girls and let our work speak for itself. If you would like to set up a consultation over a latte or a glass of sparkling, connect with us and we would love to meet with you!